So often we are looking for the next big thing that will finally help you lose weight. We hold on to the latest fad and say this time it will work for me. I will stick to it – no matter how extreme it is. I talk a lot about basics and keeping things simple – in my experience we need to simplify things and get good at them first. Below are some basics to follow as you start your journey. Some tips to help you lose weight, stay focused and get back on track. 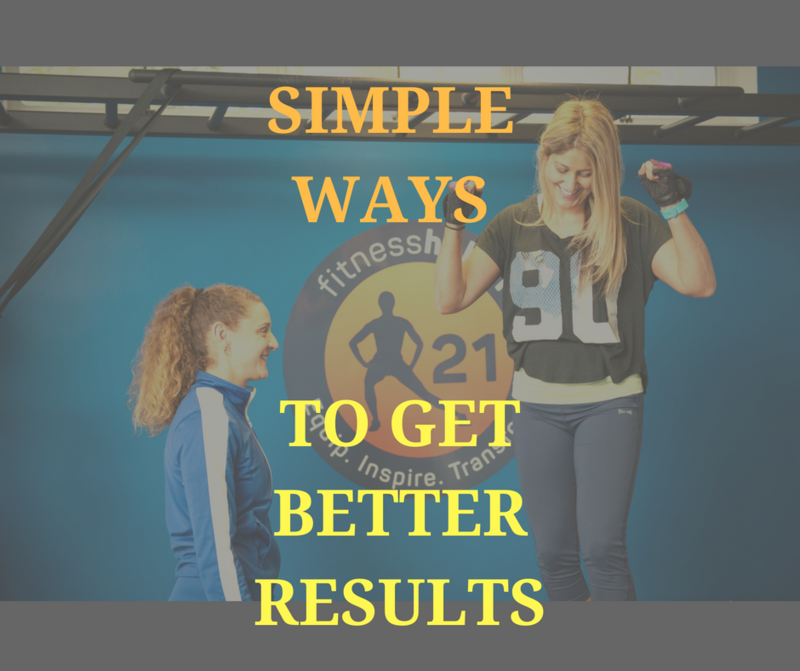 Do these consistently and do them well – your results will follow. Letting the scales be your guide is a very risky choice when tracking weight loss. Your body can fluctuate in weight daily depending on fluid, what you have eaten and the time of day. You may be losing weight but holding onto water. Why not try taking pictures and body measurements such as waist and hip as well as weight to track progress. Do it monthly at the same day and time to avoid any unwanted changes. Try not to focus on the weight loss but the process needed to get the result you are after; such as prepping your meals, training 3-4 times a week, getting good sleep etc. Being obsessed by the scales only leads to confusion and stress and knowing what you weigh on a daily basis will not make you get there any quicker. While eating in a calorie deficit will lead to weight loss be mindful that too big a deficit may lead to greater hunger, fatigue and weakness when training. Trying to eat too low could also lead to a drop in nutrients required to maintain optimal health. You may also have a bigger urge to eat and if you aren’t completely focused this can lead you to binging on other foods that are counterproductive to fat loss. If you do this often enough it will ruin your efforts. A way around this may be eating in a smaller deficit, you will still lose weight but you will also be able to stick to it better and get better results. So often we under estimate how much we eat or completely forget what we have eaten in a day, then get upset when we don’t lose weight. We need to be in a calorie deficit to lose weight and sometimes we can over eat without realising it even if the food is healthy. Monitor your portion sizes especially with fats and carbs as they are easy to over eat. If need be keep an accurate food diary for a few weeks to see if you are over eating without realising. Diet alone can lead to weight loss but the combination of right eating and right training will always lead to better and faster results and it will go a long way to making your fitter, stronger and healthier. Lifting weights doesn’t have to be all heavy weights that you associate with body building. Weight training is key to developing strength, retaining and building muscle mass, increasing bone density and providing the body with shape. Adding weight training to your exercise 2-4 times a week will also help you lose more weight when combined with a healthy diet. Too many times I have heard the words ‘I trained today so I can eat what I want’. Unfortunately this is rarely the case. You cannot out train a bad diet, as much as you think you are exempt from this statement; for most it simply isn’t true. Yes training more allows you to eat more but you have to realistic in how much extra you can eat and still lose weight. If you want to lose weight being in a calorie deficit is your goal. Training allows this to happen but so does moving more and increasing your NEAT. Try to avoid rewarding yourself with food for the simple act of going to the gym. It will hinder your results and pave the way for some really bad habits that in the long term will only hold you back from achieving your goal. Increasing protein intake has many benefits for health and weight loss. It makes you feel fuller; therefore you eat less overall. You burn more calories just to digest it (thermic effect). Try reducing your consumption of processed and refined carbs and replacing them with higher protein meals. Rule of thumb if you increase something in your eating you need to take something away to balance it out. While low carb diets do work for fat loss (alongside many other diets) you must be mindful of how much fat you eat. Just because you cut carbs down and you have been told to increase fats doesn’t mean you eat them in abundance. They have more calories per gram than carbs (9kcal compared to 4kcal) so they need to be eaten in moderation to ensure your still in a calorie deficit. Rather than upping the fats too much, aim to increase your protein in the absence of carbs. Fibre is often not considered when losing weight but its key to optimal health and fat loss. It helps with your digestive health, makes you feel fuller and therefore eat less overall. Be sure to include high fibre foods in your day-to-day eating plan. An easy way to over eat is through boredom or bad habits you have gotten yourself into. This mainly occurs mid afternoon and late evening; but can happen anytime really. 9 times out of 10 you’re not even hungry; you’re bored. You reach for the cupboard almost in a trance like state and stuff your face with the first thing you see. You don’t even register that you have eaten anything. Have a pre-planned snack that you can have if you feel the need. Hide all the tempting things in a cupboard that makes it that little bit more difficult to get to. You must be realistic about what you need to do in order to reach your goal. You must be realistic about your current life situation, stress levels, availability to train, prepare food, family obligations or anything that may distract, slow down or prevent you from reaching your goals. You have to take the other areas of life and put them into context and determine if you have to adjust your expectations in reaching your goal at this point in time. If you can train 4-5 times a week, have no kids, work full time but have time to invest in food prep then yes its very realistic. If you’re the mum of 3 then maybe the goal is to train 2 x a week, move more, eat healthy, eat less junk and get the kids and husband involved in the process. You may not lose it all, but you will still lose weight, your family will be healthier and you will be much happier as you achieved a result but didn’t burden yourself with the pressure to hit a target that wasn’t really achievable in the first place considering your current situation. 12.Hit and Hope – failing to track anything you eat and hoping it will achieve a result. I am not saying you need to weigh and record everything you eat, but you do need to have some idea of what your eating in order to see if it works or not. You can still overeat healthy food and take yourself out of a calorie deficit. You can track how much protein you eat, how many carbs you eat, how much bread you eat, how much junk food you eat and make changes according to the results your getting. The more information you have about what works and doesn’t work for you will help you in the long term. These are usually full of calories that you could be eating rather than drinking. Be mindful of what you drink – most coffee shops have the calorie content of their beverages on display so check the board and add these into your calories for the day.